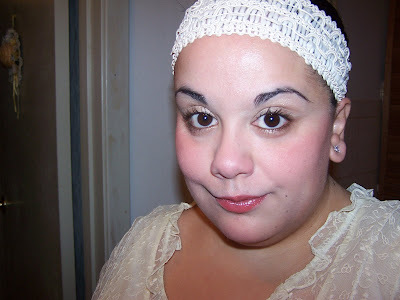 Visee doesn’t get nearly enough love on my blog. It’s one of my very favorite brands from Kose and available within Japan only sadly! 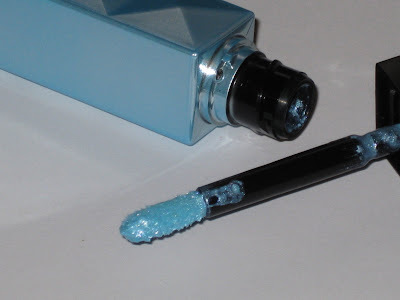 I’ll be reviewing Visee Spring Collection shortly but today I’m doing a review on my favorite product offered from Visee which is the Aqua Shining Cream Eyeshadow. 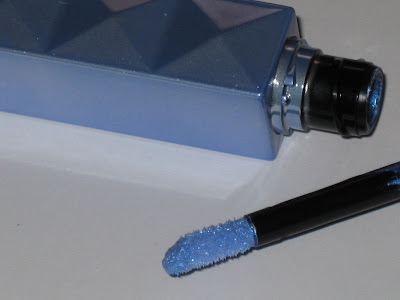 If you read my blog often enough you’ve come to realize how much I detest cream shadows with a passion however Visee Aqua Shining Eyes is a favorite cream shadow of mine and it gets my highest seal of approval! These come in a beautiful array of colors which is a key selling point for me! They also pack an extreme bit of sparkle and shimmer which, as you know, the Muse adores. These blend beautifully! Three little dots on your lid and a quick swipe of your finger and you’ll have beautiful sparkling eyes! 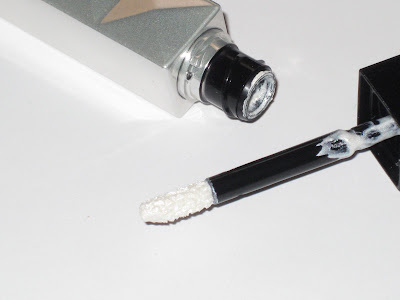 Pigmentation is excellent and the formula is so good that the color lasts all day! A key selling point on these for me is the sparkle and shimmer I’ve never run across a cream shadow that packed so much beautiful glitter! One con is the price and the size of the product. 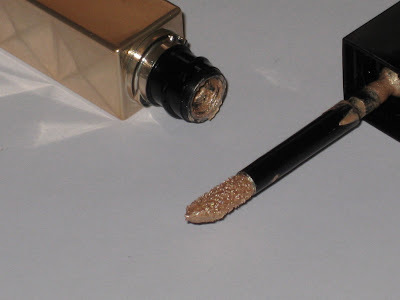 Although you need very little of the shadow to get a beautiful eye look the size of the tube seems uber small and it feels like not alot of product is inside for the price of 1,890 yen per a shadow. Aside from that very minor rant Aqua Shining Eyes are definately a go for me and I adore them and can’t help but recommend them to you! They are definately worth trying out for yourself! If you’re a big fan of creams these will surely appeal! 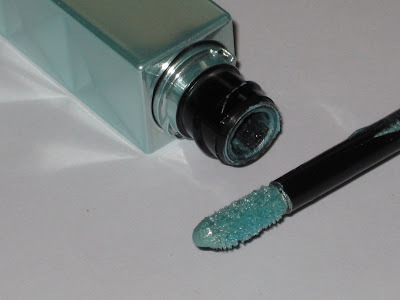 Visee’s Aqua Shining Eyes are most definately Muse Approved for purchase! 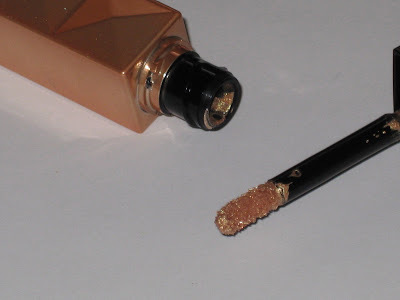 Click here to check out my MuseTV video that features a spotlight of Visee Cosmetics! 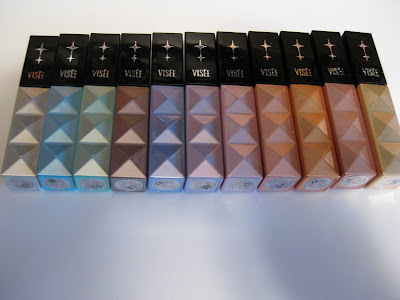 Click here to read about the Visee Spring Collection which I’ll be reviewing shortly! Oooo u are so lucky, all the colours you bought look fabulous, im so jealous and in the FOTD, the eyeshadow made your eyes sparkle, very pretty ;). I’m loving all your comments as it’s been ages since I seen you! I couldn’t brighten it up since the flash was drowning the colors out blah 🙁 But thanks!!!!!!!! I appreciate that. My first photos using my new cam were rubbish but I’m slowly getting the hang of it! Thanks 😉 I love all the sparkle and shimmer in these big time 🙂 You have to try them! looks beautiful! i really like these, i might have to try to get my hands on some. i’m headed off to bergdorf today to check out the spring/summer lines-are you planning on getting anything during the $25 off $100 event? oh and on a side note, i e-mailed you and was just wondering if you’d received it! i know how things end up getting lost and such. again you look gorgeous today! not that you don’t always :). You’ll love ’em 😉 they are awesome. I’m going after work, funny you mentioned it. I wanted to pick up a pair of shoes I had fell in love with. but of course I have to tempt you! btw I know i know I owe you an email! I wanted to say I got your brushes as well 😉 and they are on me as your pp is having a prob! No, no, no! I have solved the pp-problem! I can use a friends account! You shouldn’t have to give me anything, you should spend your money on more make up for YOU! But I must say you are the kindest most wonderful person! So where did you get all these? I’ve been dying to try these. where iz you this morning? muse!! omigod you like brittany murphy in this picture. but without the botox, nose job and fish lips horror ^^i heart the eye shadow on u! For some reason, this is like the prettiest pic I have ever seen of you!! The eyeshadow makes your eyes just looks amazing! Aw thanks honey! I know I owe you an email forgive me my very slow reply time! Hi, would like to check if these are fragranced? 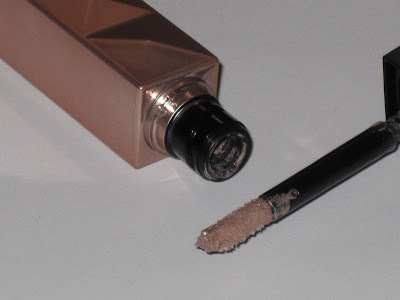 On the Japanese website, the Visee Jewel Crush Eyes are stated as being unfragrance. But no such info about the Aqua Shining Eyes. As Visee is manufactured by Kose, I’m a bit concerned it would have the same strong scent. I’m so tempted to order the PU-100 from Bobodave, but if too fragranced, I’m afraid I can’t use it. Many thanks! I’ve never noticed any scent from the Shining Eyes. Although they do have a bit of a glue like smell but not any fragrance like rose or anything of that sort. I’ll take a further sniff tonight and let you know how bad the glue like smell is! Thanks for your reply! I rather a glue like smell that’s *uhm* natural and not due to any fragrance added. I don’t want to have itchy eyelids from perfumed stuff 😉 Gosh, I’m most impressed by your complete range of the cream eyeshadows! I use the T’estimo Platinum Carat Eyes (the lilac purple one) as a base for eyeshadow, as it’s a bit light to be used on its own. And it’s nice. I suppose the Visee ones are more pigmented and can be used as a standalone eyeshadow? 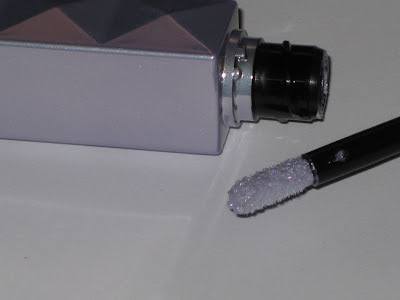 Yippee, shiny glittery eyelids galore! You’re most welcome, it’s my pleasure. It’s definately the natural smell. I never noticed Visee scented anything including the Jewel Crush Eyes. These are so super and you’re going to love ’em! I love and miss testimo so much! Hehe! I love glitter and shimmer too! My mate Iris has dubbed these as being better than the Jill Stuart ones! Thanks for the comment it’s delightful speaking to you! Yay, thanks heaps for your info, I’ve just ordered the PU-100 Shining Eyes from Bobodave. He (?) got it during his recent trip to Japan. I must say T’estimo’s “Platinum Carat Eyes” is such a lovely name, you *just* have to buy it for the sound of it ha ha. But sadly (though it is lovely), it is more of a base colour, no impact on its own. 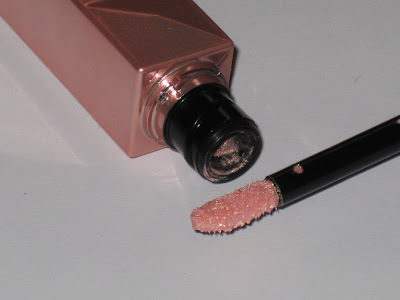 But the Visee Shining Eyes looks more pigmented, and has such a wide range of colours! I think I’ll be ordering the rest, in due time. What’s your favourite of the lot? The gold one? All of them are so nice, and look great when displayed together, like a VISEE RAINBOW, heheh. 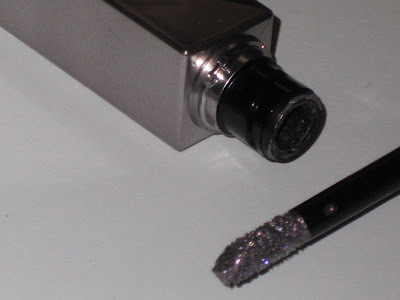 It seems more shiny than Aube Jewelry Shower Eyes (yet another name to love!) 31 purple. I’ve swiped on my hand but not used it yet. Sorry for the delayed reply! Happy Monday to you! Oh awesome! I heart cozy 🙂 I haven’t been in a while! Thanks for commenting on my fotds! Awesome! I can’t wait for you to try it. I don’t believe I have any of the Esprique ones. They just aren’t shimmery enough which accounts for why I never purchased them. I have some of their palettes and they do have a faint fragrance. I like the packaging as well! it’s cute! I truly miss t’estimo palettes they were so gorgeous! hehe! Exactly 🙂 I wish they’d do new colors! I’m glad you scored the purple as it was truly a great palette! I adore the jewelry shower eyes! I have almost all the colors 🙂 such a great palette! Hi, loved reading your reply. 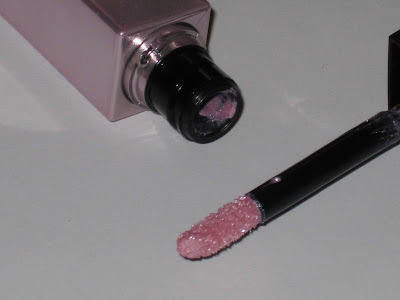 The Esprique ones – I think you do have them, you’ve blogged about it before. It’s in a different shaped packaging with a dangly star charm? It has a very strong fragrance! Grrrrr, I’m having issues with the Paypal system – Bobodave told me the amount in HK$, but I’m suddenly charged in USD, which amounts to at least US$20 extra!!! For nothing! So I still have not paid for my Visee Jewel Crush Eyes yet. And thus I can’t get my eager hands on my other orders, which include Gransenbon blushers. Sigh. 🙂 I just tried Aube’s Jewelry Shower Eyes 31 purple but I’m not quite used to using it yet. Still figuring out the best way to apply. It doesn’t seem as pigmented as even the Lavshuca eyeshadow (the original range palette that looks like a flower shape). And the shimmer is only when I put that cream base on – in the manner you recommended – patting on the lids after applying eyeshadow. Great tip by the way, it is much easier than using as a base as it tends to patch up and isn’t too smooth in application. Maybe I was expecting it to be like T’estimo’s Frame Impact Eyes, sparkle all the way. Well Aube’s is good too, cos if I want a more matte look, I don’t put the cream base. Only grouse is the shine is more of a frost than a true sparkle from within. Have a great weekend! Keep the reviews coming please! Weird. Have you contacted bbdave asking what is going on? Hope you got it cleared up by now! Oh I adore Gransenbon blushes! They are lovely 🙂 I have all of ’em almost aside from the new ones released! I don’t think anything is quite like t’estimo’s frame impact…I truly miss those 🙁 I’ll have to do some FOTD’s with aube soon as I get a fine bit of sparkle from them but nothing overly much like T’estimo or Lavshuca sadly! I love the gold, white, pink and blue..so pretty!!! !